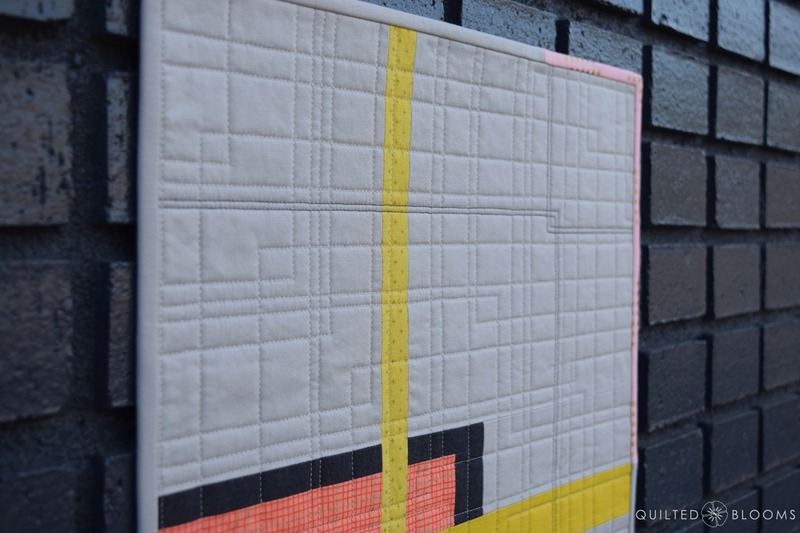 Off the Grid is my mini log cabin quilt made for the Curated Quilts call for entry into their second issue. 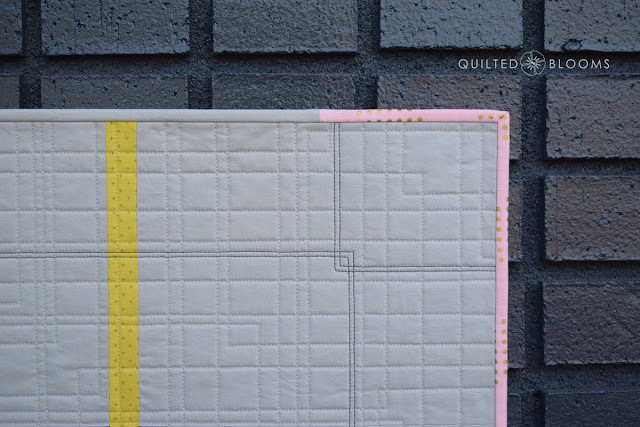 Curated Quilts Issue 1 has been printed and shipping has begun. 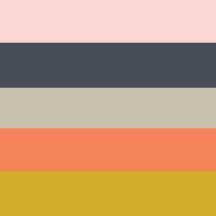 Not only was coming up with a design a challenge, working within the chosen color palette was a challenge within itself. The pink at the top is not one I would have normally used and almost left it out of the mini quilt altogether. 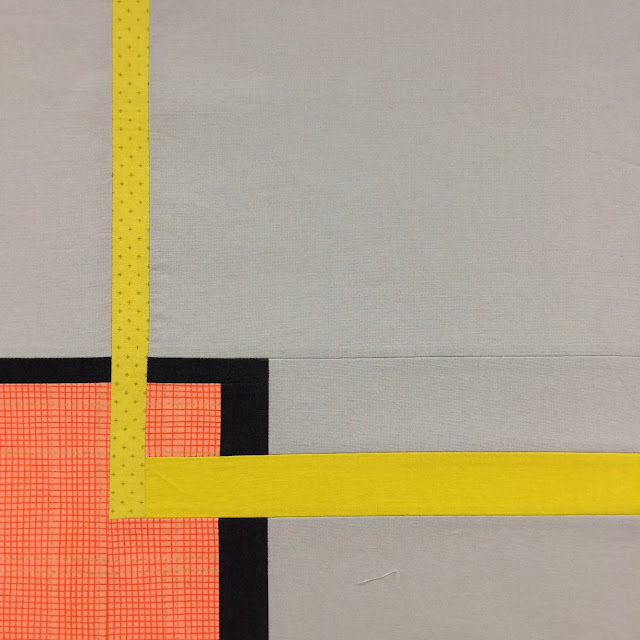 In the end, I decided to incorporate it into the binding. First, finding the right fabrics... Was that dark all gray? Or did it have a hint of navy? I ended up using an unknown cross weave from my stash. For the background, I would describe it as stone and I used a Moda Bella solid in Zen Grey. I added two different golds, a Free Spirit Designer solid in Solar and Cotton and Steel print, Cross Dots in yellow. 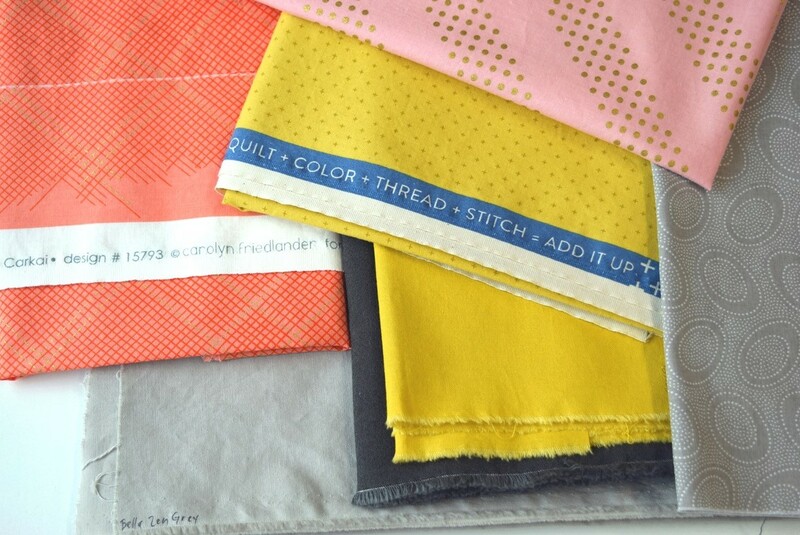 For the coral, I had a Carolyn Friedlander print from Carkai, Grid Diamond in Creamsicle Metallic. 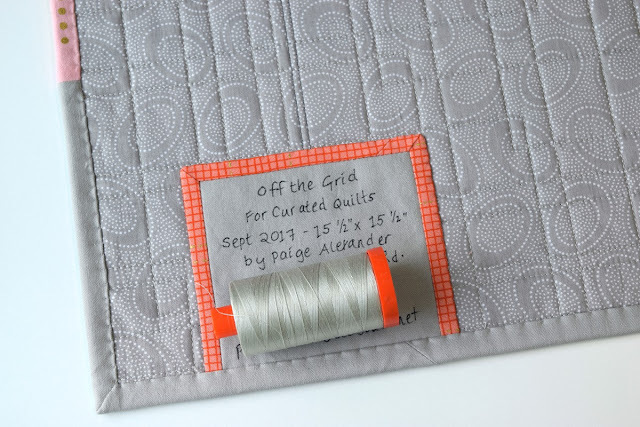 The fabric name inspired the title of the quilt, Off the Grid. And I know some people would like to live off the grid in a cabin in the woods. Not me, I can't be too far from a fabric shop! Piecing would have gone much faster if I hadn't decided to cut the Carkai Diamond Grid on the bias and match the plaid. So I was extra careful with the bias edges and starched it well to minimize the stretch. I pieced the top a little large, about 17" x 17, so I could trim it down to size. I just took photos with my phone to try to audition the desired size. I wanted less of the creamsicle grid to show and be more of a rectangle, but my overall size would have been much smaller. Here you can also see more of the piecing. I started out with a square center which finished at 1 1/2" x 1 1/2" and from there added various size logs around the center. I extended some of the logs out into background. Now on to the quilting... I decided to quilt crossing angles like the gold and charcoal logs. Maybe you can see what I mean here. 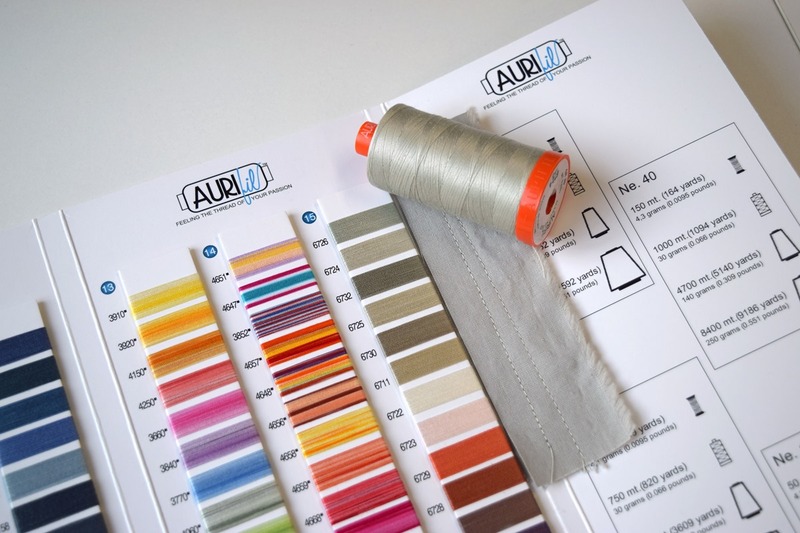 For the thread color, at first I went to the grays on the Aurifil thread chart, but found a new to me color, 6724 Moonshine, and it matched perfectly. At first I wasn't sure until I stitched it out. I thought it needed something more and I added more angles using Aurifil 2630 pewter in the 28 wt. for emphasis. I still used 50 wt. in the bobbin. Pewter was one of the colors used in Positively Transparent. I used a Kaffe Fassett print, Aboriginal Dots in Taupe for the backing which matched perfectly with the Bella solid. For the label, I used my freezer paper method of hand writing the text but added a border using up the bias I had cut from the Carkai print. 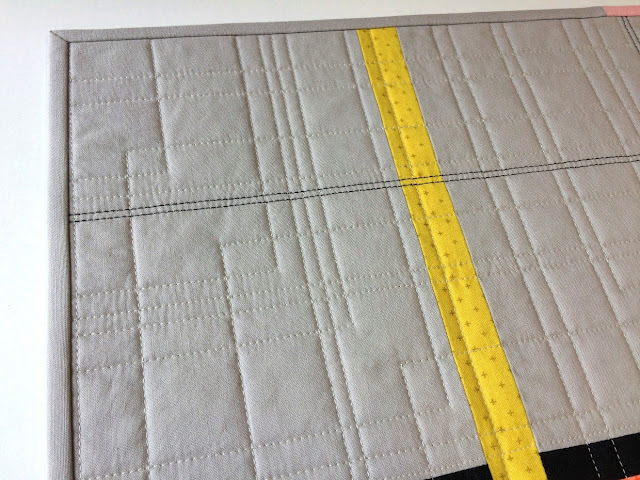 As you can see the finished size of Off the Grid is 5 1/2" x 15 1/2". Update 9/30/17- I was able to stop by my favorite gray wall today for some photos of Off the Grid on the painted brick wall. So glad I was able to get Off the Grid finished as the deadline to enter is October 1st. 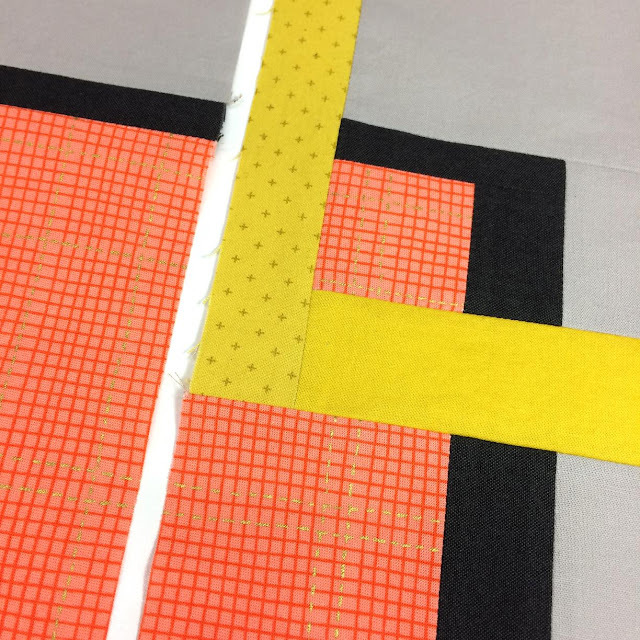 You can see the other entries HERE and on Instagram #curatedquilts. 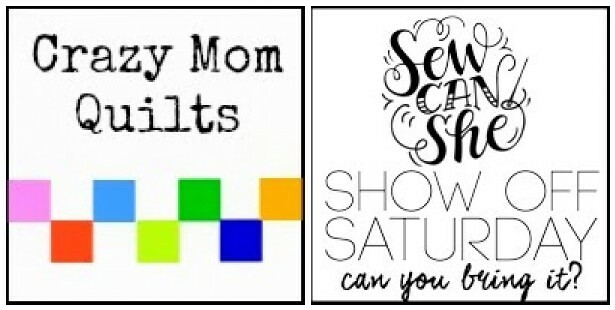 Linking to Crazy Mom Quilts for Finish it Up Friday and Sew Can She for Show Off Saturday . I like the accent with the darker thread on this little quilt. Great finish! The repetition of the design with the quilting is striking, Paige. I really like how you distilled down the design to core elements, and as always your attention to detail (lining up the plaid!) is fantastic. Thanks for sharing your process and choices. Not everyone realizes that even when a quilt appears to be simple a lot of thought has gone into the decisions. Love using the pink in the binding. A perfect way to use a color that I wouldn't have used. I just love this! You did a wonderful job. So good! i love your quilt! The pewter lines of stitching are wonderful, and the name fits it perfectly. Thank you Danice, I appreciate your comments! This is such a gorgeous little quilt Paige. 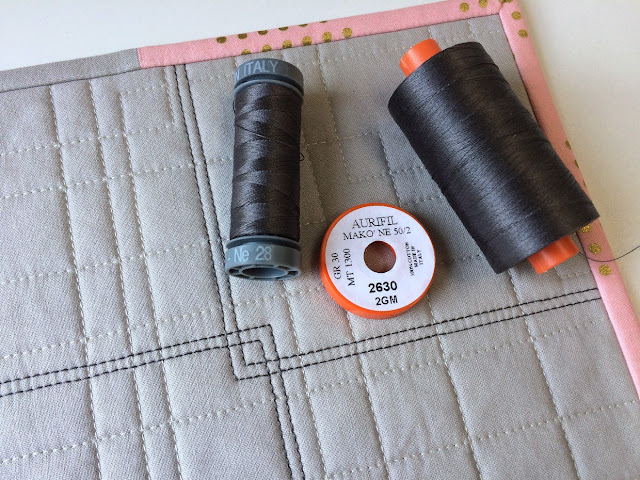 I love the pewter lines of stitching along with the rest of the quilting. Such a simple and yet very striking design. I think this is a beautiful piece, with the attention to detail from matching plaid to the quilting pattern. This is a great little quilt, Paige. I like the idea of extending the logs of the cabin, and the use of the pink in the binding. So fun. Your thread choices are great too; I'm going to have to check out that Moonshine color. Thanks for sharing! Beautifully done, Paige! A deceptively simple modern piece. Thanks for sharing your process! Well done. You've been doing a lot of designing lately...and being published. Congratulations. Wow ! I love everything in this quilt Paige ! 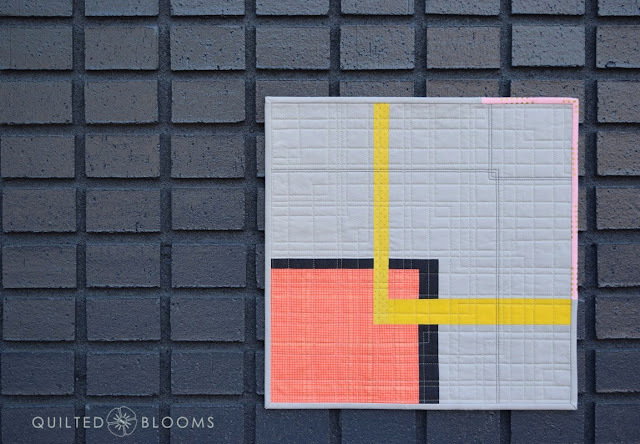 Great design, perfect quilting choice, attention to detail, not to mention a cool wall for the photoshoot. Beautiful mini! I love the design and the quilting details you added! It's interesting to follow your design and implementation process. I love what you came up with! I have never been able to achieve anything suitable for challenges, and this one would have been way too much for me. First of all I don't care for log cabin blocks (in the traditional sense), and second, I am just not gifted with design skills. That's really tough when, as a quilter, I want to "make modern." Copying is my best key for success! 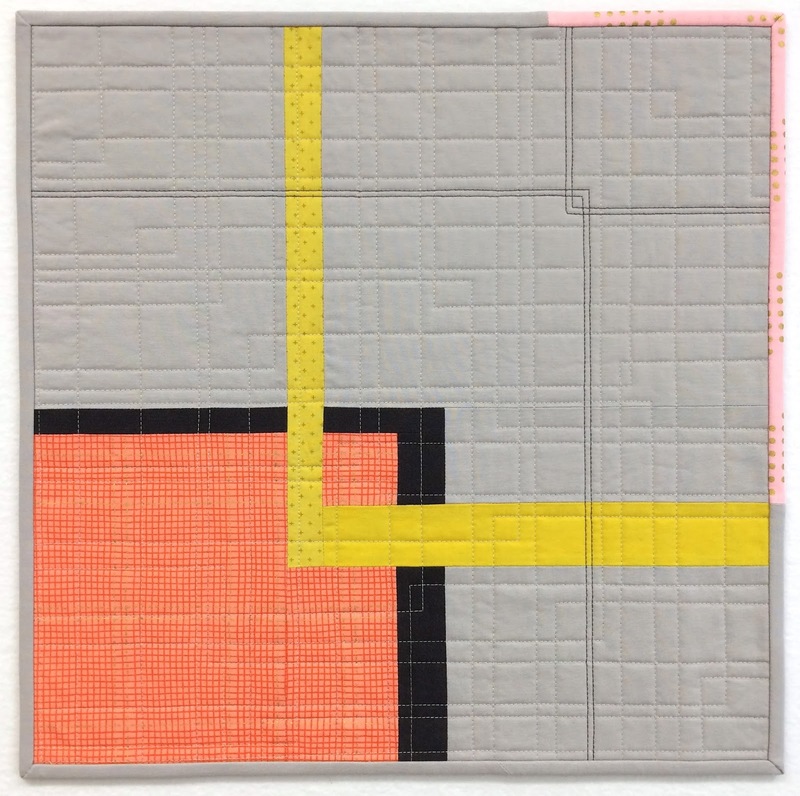 Hadn't heard at all about Curated Quilts until you and LivingWaterQuilter shared on IG. Looks like an interesting publication. So now, is your quilt automatically in the next issue? Or is it "juried" into the magazine? 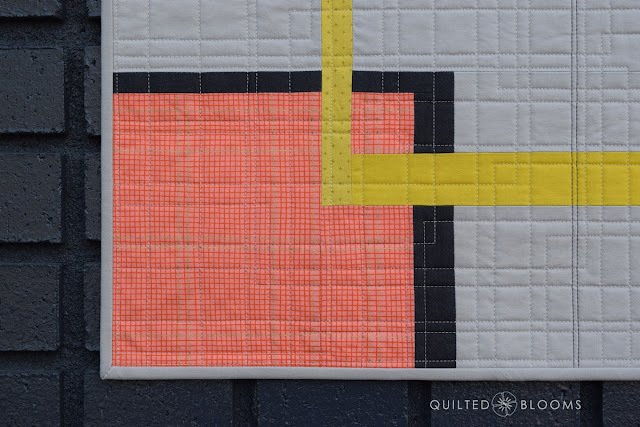 Your quilting is a definite design feature on this quilt - it looks great. This is a beautiful little quilt Paige! Nice work on the quilting as ever! This is really lovely! 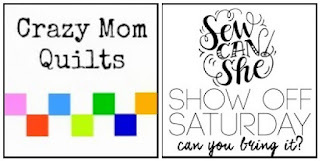 I so appreciate your attention to every little detail, right down to the photos!